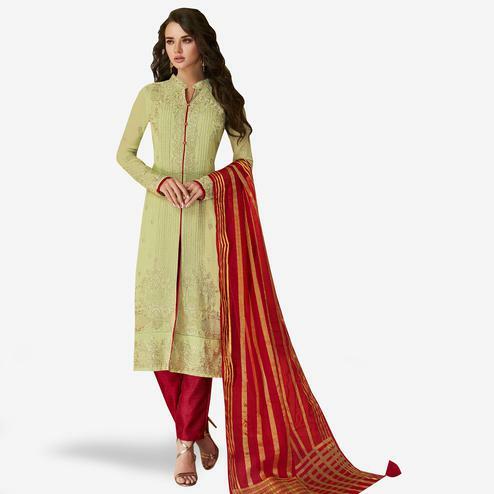 Exhibit your charm in parties wearing this georgette straight cut suit in beige. The semi-stitched outfit features resham embroidery patch border & lace work which is designed as per the latest style & trend. It is accompanied by a santoon churidar and chiffon dupatta in red. This attire fit for parties social gathering festival etc.